Two seasons ago, former Knicks Coach Mike D’antoni found his team inexplicably on the outside of the playoff picture midway through the season. The players had, for the most part, begun to tune him out. The team had talent, but wasn’t playing hard, or smart, or well. If not for a few timely wins every time it seemed that a coaching change was one loss away, and the emergence of a certain point guard who rose from the end of the bench and became the supreme ruler of the universe for a month, D’antoni would have surely been fired well before the All-Star Break. 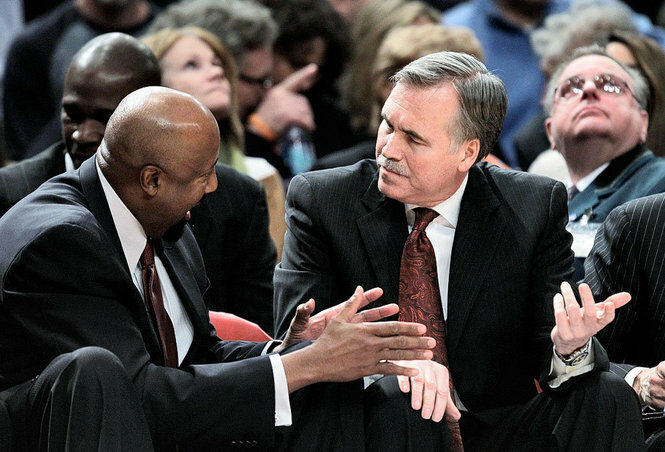 Mike Woodson, who took over when D’antoni finally “resigned” on March 14th, now finds himself in an eerily similar situation. Woodson wasn’t a big-name coach, and his schemes weren’t especially creative. But he represented a change, something which was desperately needed in New York. 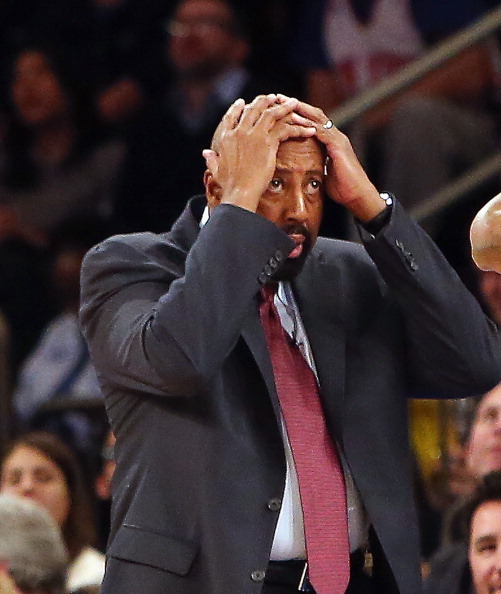 The Knicks responded positively, as they won Woodson’s first six games as coach. Woodson’s team finished 18-6 and managed to win their first playoff game in years before falling to the Heat. But now, the Knicks need a change again. The players have tuned out Coach Woodson, his team is losing at an unacceptable rate, the fans have started calling for his removal, and he would have been gone by now if not for a couple short winning streaks. Sports Illustrated reported a couple days ago that Woodson expects to be fired before the All-Star Break. A blowout win Friday against the Nuggets may have bought Woodson a bit more time, but everybody, from the fans, to the players, to the coach himself, knows that Woodson is a lame duck. The front office needs to stop stalling and make the change that more and more people believe (and hope) is on the way. Is Woodson being made into something of a scapegoat? Perhaps. The Knicks’ struggles are not his fault. Well, they’re not all his fault. He didn’t break Tyson Chandler’s leg, for example. The Knicks have struggled at times to make open shots, their players have not stayed healthy, and aside from Carmelo Anthony, Woodson’s players have been maddeningly inconsistent. But Woodson has had a bad year on the sidelines; he recently said so himself. His rotations are baffling, his clock management has been dreadful at times, his offensive systems don’t work, and his reputation as a defensive-minded coach has been shattered by the fact that his team hasn’t been able to stop a nosebleed. The Knicks don’t play with focus or energy. Some coaches are wizards with the clipboard. Some coaches build reputations as motivators. 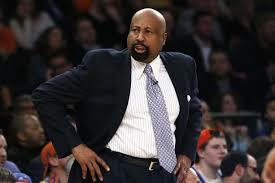 Mike Woodson is neither. He is a decent coach, but nothing more. And if a coach doesn’t bring out the best in his players (or anything even close), he has no business being the coach. 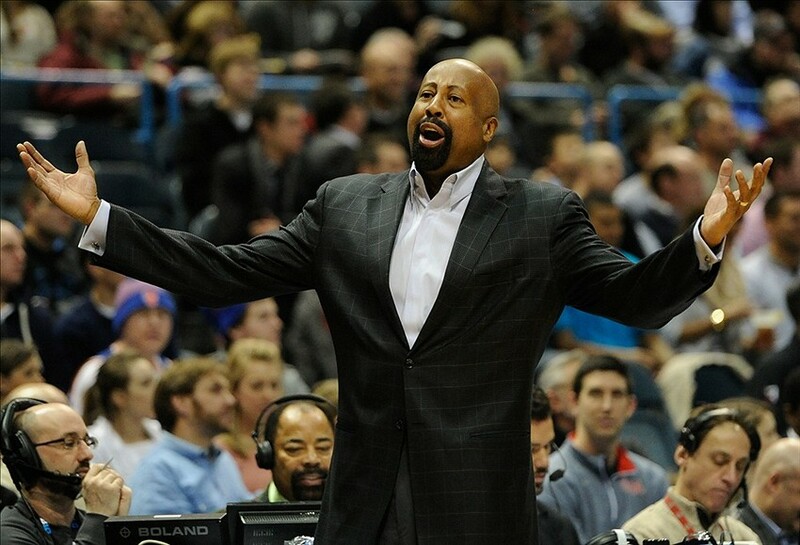 Mike Woodson has become what Mike D’antoni once was. And the Knicks would be best served giving Herb Williams, Jim Todd, or another readily available candidate a chance to bring the change and the spark the team needs to salvage its season before pursuing a top-flight coach this summer. This entry was posted in Articles and tagged fire mike woodson, fire woodson, KNICKS, knicks blog, knicks coach, knicks fire coach, knicks fire mike woodson, KNICKS MEMES, knicks mike woodson, knicks need a new coach, knicks new coach, Knicks news, knicks rumors, mike woodson, mike woodson should be fired, should mike woodson be fired, tommy rothman knicks, will the knicks fire woodson on February 9, 2014 by Tommy Rothman. Who is saying Melo has been consistent. 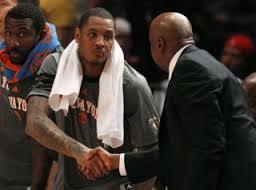 I am a fan of Melo but he has not been consistent enough to lead this team to a championship. Of course he is the teams’ leading scorer but sometimes he just misses too mamy shots to scores his points. Averages can be misleading. Score 62pts vs Charlotte then 15 vs OKC GIVES YOU A 38+ AVERAGE. Good statistics but inconsistent. This team feeds off Melo so he must be like Durant or Lebron and bring it night in, night out. When Melo is locked in an making shots this team wins and everybody play better. Do like he did today against OKC and we lose.